Have any friends that are graphic designers, UX designers, painters, or even pottery enthusiast and struggle with understanding their artsy “world”? Well, then you might also be struggling with a present to get him or her for Christmas. “Create. Scan. Erase.” This notebook, produced by Rocketbook and gained popularity through Kickstarter, takes the traditional paper-and-pen experience and brings it to the digital age. All 36 pages are reusable, using a damp cloth and special Pilot FriXion pens. Not only is this product extremely environmentally-friendly, you can also easily upload your notes Google Drive, Evernote, Slack, etc. This gift is perfect for anyone that is always on-the-go. Connectable to virtually any modern operating system (IOS4+, Android 4.0+, Mac OS X 10+, Windows XP+, etc. ), it makes any last minute edits or invoices that much easier to get done in a pinch. It’s no secret that designers love their fonts, making a gift card for Fontstand the perfect present. This device prints the high-resolution photos taken on your smartphone or tablet. The INSTAX Printer also has Wi-Fi capabilities, a rechargeable battery, and comes in silver and gold (so classy). “Instant” printers and devices similar have been around for a bit, but this particular product is one of the first to swing towards the direction of actually affordable, rather than ridiculously expensive. Every creative has a special place in their heart for well designed “coffee table” books, and this piece produced by Pantone themselves is the crème de la crème. Inside are more than 200 pieces of art, products, decor, and fashion that match perfectly to official Pantone Color Palettes. These little plastic devices are as trendy as it gets right now and the official PopSockets website allows you to customize an individual one - making it the perfect inexpensive present this Christmas season. Show your creative friend that you know what they like by creating a unique PopSocket for the smartphone. Newer models of Macs (and other laptops) typically only have one USB port, maybe two if you’re lucky. This can make charging your phone, using an external hard drive, USB drive, and so on impossible to do at the same time. Luckily, Satechi, an electronic brand based in the UK, came to the rescue by creating a converter with 2 USB ports, an SD card slot, and a Micro SD card (particularly convenient for your photog friends) that fits right into your laptop. These wireless headphones are the perfect alternative to Apple’s “AirPods”. Reviews report that these headphones easily stay in your ear (contrary to AirPods) and are very comfortable. Have an iPhone and tired of dealing with Apple’s headphone jack dongle thingamajig? Or simply want a great pair of wireless noise-canceling headphones? Give these bad boys a look. 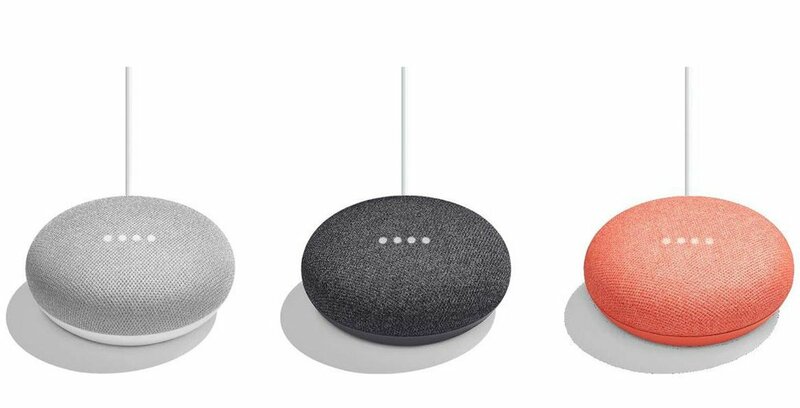 ConceptDrop loves the Google Home Mini! Read here as to why. Whether for a quick sketch on a napkin or a list of to-do’s, every artist needs a solid reliable pen to easily carry with them. What’s so great about this one, you ask? Well for starters, it’s produced by a neat Detroit-based company called Shinola, who places the utmost importance on craftsmanship and quality. Read more about their story here. In addition, this pen is full-sized when opened up, but collapses to a little over 3 inches tall and is small enough to fit in a pocket. Perfect for a creatives on-the-go lifestyle.